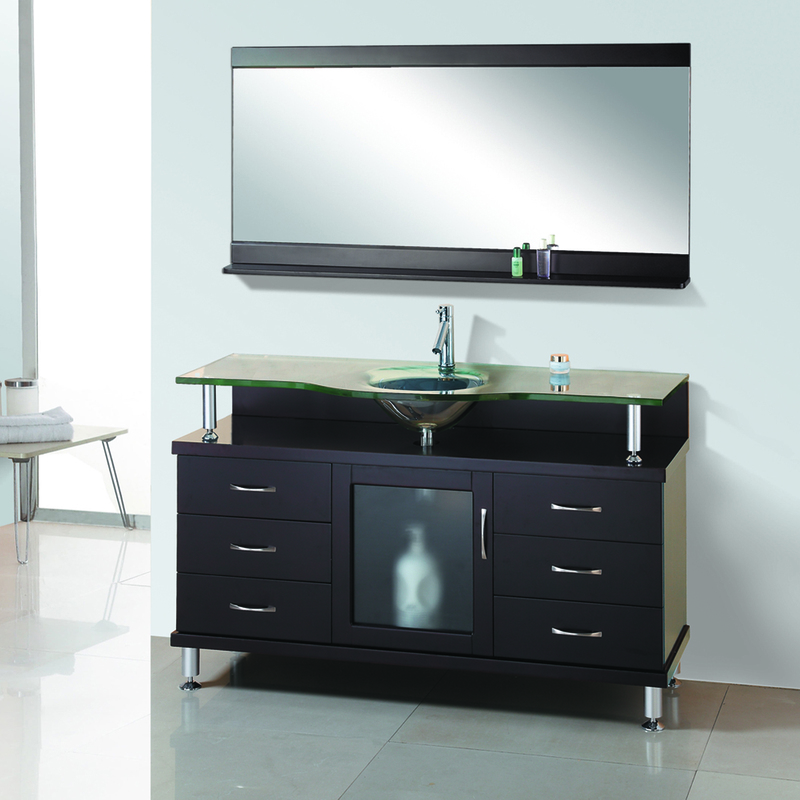 Our 55.25" Vincente Single Bath Vanity is built with solid hardwoods that don't yield or suffer wear and tear very easily. 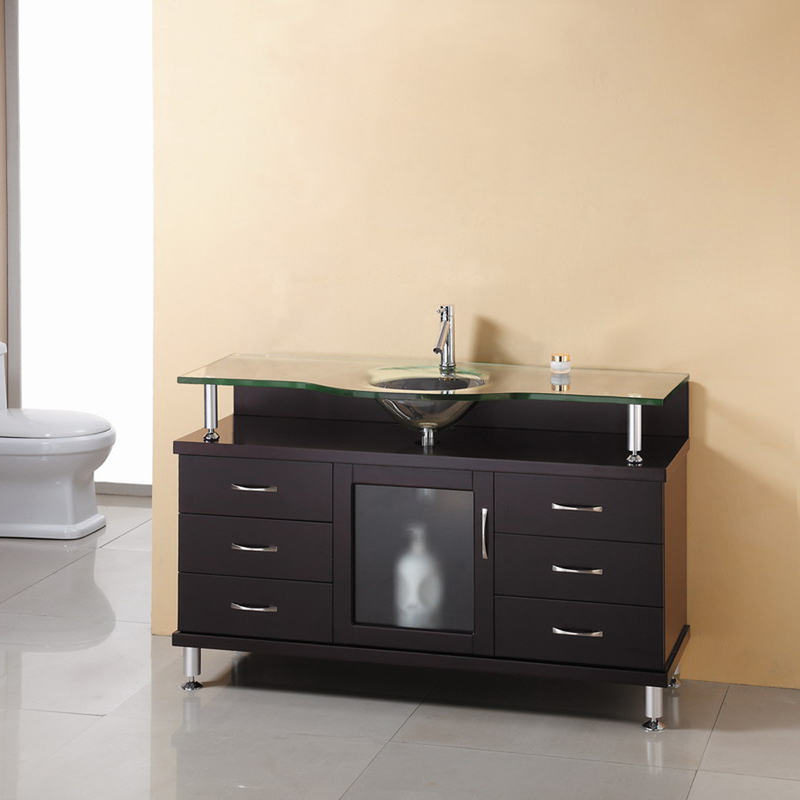 We recognize that cheaper vanities can potentially suffer serious water damage after years of use, so the surface of this vanity is finished with a water and crack resistant finish that will look good for years to come. 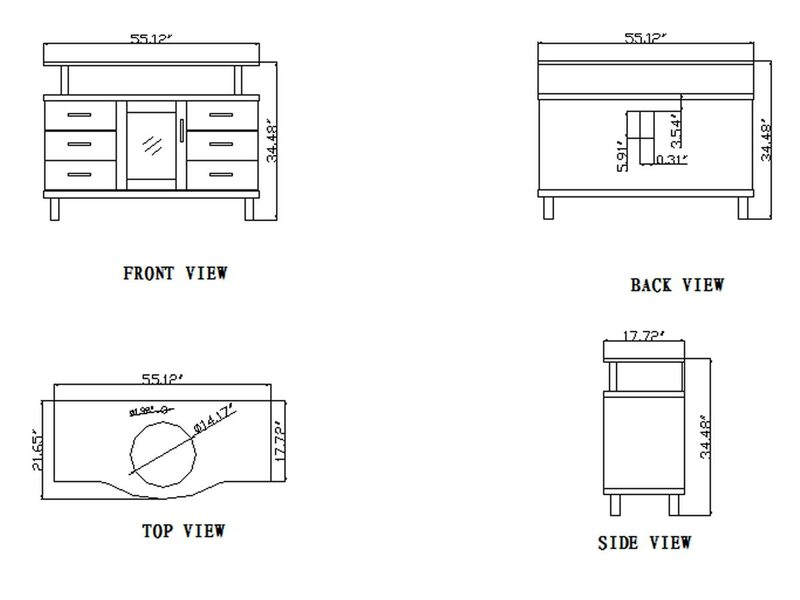 The Vincente comes with a simple, easy to read set-up guide which makes installing the Vincente about as easy as using it! 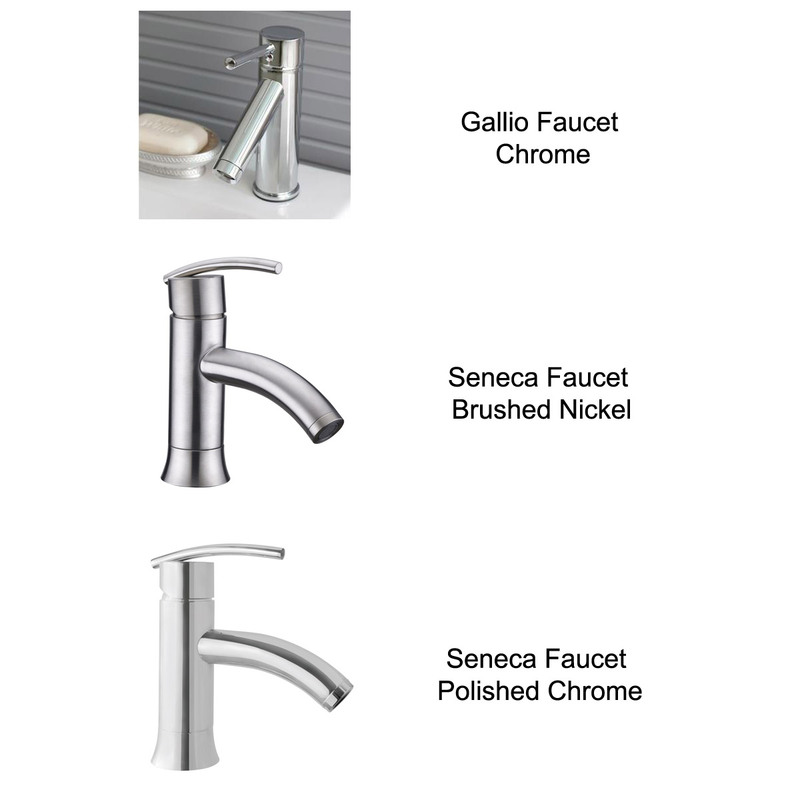 Faucet options are available. 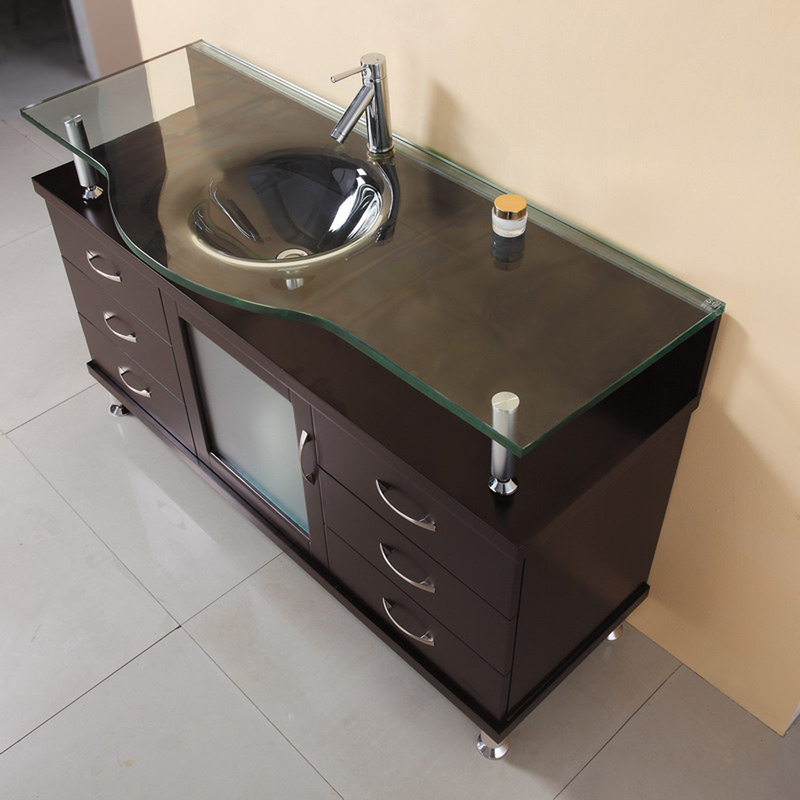 Includes vanity cabinet, glass top, and bowl.